What are the Top Paying Affiliate Programs? - Lets Work Online. Affiliate marketing now generates 16% of all e-commerce sales. This makes it a gamechanger for online content producers looking to monetize. But too many people miss out on the top paying affiliate marketing programs. There are plenty of high-volume and low-reward models out there. The market has become almost saturated with them. With these, you have to churn an awful lot of traffic before you start to see any reasonable ROI. Don’t waste your time playing their game. You’re just putting money into their pockets rather than your own. Today, we’re going to share the top paying affiliate marketing programs with you so that you can turn a tidy buck. With well-paying affiliate programs sorted out, it won’t be long before you see the money just rolling in. But how do they work, and which should you sign up for first? 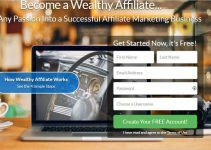 How Do Top Paying Affiliate Marketing Programs Work? If you’re new to affiliate marketing, you may well be scratching your head wondering what we mean by programs. If you’re an old hand, skip to the next section and start maximizing your returns. Essentially, advertisers have products to sell and are looking for a way to expose that product to as many people as possible within their target market. Affiliates are looking to generate revenue by advertising those products on their websites and emails. They generally receive a payment for each purchase made via one of their affiliate links. This arrangement is often called ‘cost-per-action’ or ‘cost-per-acquisition’ marketing. It costs the advertiser an affiliate fee each time someone clicks on an ad or affiliate link on your website and then completes the desired action. But of course, it’s win-win, as that’s a sale that wouldn’t otherwise have been made or a new lead for the advertiser. The trouble is, advertisers don’t have the time to seek out all the relevant affiliates, and affiliates don’t have existing relationships with the advertisers. Affiliate marketing networks bridge the gap between affiliates and advertisers. Top paying affiliate marketing networks will hook you up directly with campaigns. So you don’t have to spend time pitching for work – you can get on with running your websites. However, you need to be careful. There are plenty of organizations which pose as affiliate marketing programs but are actually scams. There are also plenty of training programs which are simply not worth your time. Whatever affiliate program or network you join, always check out the products you promote. There might be some products in the networks mentioned below that could get you a bad reputation. Only promote products you are familiar with and you trust yourself. Promoting products when you know the creator is someone to be trusted is also okay. Don’t promote a product because they promise huge commissions. It’s important to remember why someone would buy something you recommend. It’s because they know, and trust you. Therefore, any money that you make from your audience is due to the relationship that you have built with your followers. Ruin that relationship and you ruin your chances of selling to your audience in the future. Below is a list of some of the better-known and most lucrative affiliate marketing platforms. MaxBounty claims to be the #1 CPA network in the world, and to be fair that may well be true. It accepts affiliates from all countries and can pay most in their local currency. It can pay you using a wide range of methods, which even includes BitCoin. As its name suggests, MaxBounty does offer great rates. But it can be a little hard to find your way in, as it has a strict and exclusive screening policy to deliver the best results for advertisers. But once you’re in, there are over 1,500 campaigns to benefit from, over a wide variety of sectors. On top of its generous rates, MaxBounty has an affiliate referral program where referrers can earn 5% extra on their earnings for the next 12 months. It also rewards its very best affiliates with brilliant extra perks. When we say brilliant, we mean it. In the past, its affiliates have battled it out to win a spot on an all-expenses-paid trip to Canada, Peru, and Spain, among other treats. Another one of our top paying affiliate marketing networks is Peerfly. With nearly a decade of operations behind it now, Peerfly has built up an enormous network of affiliates. But that hasn’t meant it’s slipped into offering worse rates or worse service. It’s an ethos-driven network which wants to pay affiliates decent amounts as much as it wants to deliver consistent results for advertisers. You’ll probably be very interested to know that it guarantees to match or pay more than any other network. Which will certainly cut down the time you spend researching affiliate networks if you get listed here. To help maximize everyone’s revenue, they also offer free training and tools for affiliates. As well as incentivizing them by putting on a rewards program like MaxBounty. In short, you’ll learn how to make lots of money, and be well compensated for it. Learn more from its frequently asked questions page, which covers off all you need to know about signing up. You can take some security from getting business through a big name. Affiliate marketing opportunities for eBay are easy to get into and definitely won’t dry up overnight. eBay obviously has a vested interest in making sure the sales volume on its site doesn’t fall. So it’s very keen to keep affiliate traffic high. To that end, it produces and supplies (at no cost) plenty of tools to help you out. They’re all easy to use. Plus, the money is decent given the volume of actions you can generate using this network. With a new-user bonus and an endless supply of business, if it suits your site you’d be mad not to at least try the eBay Partner Network out. GlobalWide Media (previously NeverBlue) boasted over 5 million monthly conversions last year. If you want a piece of that action, go and sign up right away. Top paying affiliate marketing programs are popular for obvious reasons. The longer you dither the less likely you are to find yourself a seat at the table. GlobalWide Media is one of the top paying affiliate marketing networks and consistently boasts some of the best campaigns around. You can participate in affiliate marketing using this platform across a number of mediums, including email, display ads, search and mobile. Sectors include finance and e-commerce, among many others. It also offers expedited payment options for when you need cash in a hurry. And a publisher ‘appreciation’ trip to “exotic and exciting locales.” Sounds pretty good to us. A word of warning – quality is top of the list for GlobalWide Media. Don’t expect to get far with any blackhat tactics, and make sure your sites are in impeccable condition and appearance before you get in touch. Another e-commerce giant that, being one of the top paying affiliate marketing programs, many affiliates lean on through thick and thin. Amazon works best if you can find a niche to target, which requires something of a specialized site. If you want to hold affiliate links to high-return household items like hard drives, for example, your site needs to be tuned up for computer enthusiasts. A link to something like that isn’t going to get much attention on a home and beauty site, for example. However, with Amazon, it doesn’t matter what the person you send there ends up buying. So even if your audience clicks on an advert for an expensive hard drive but decides to go with a cheaper option, you’ll still get something for your time. In fact, even if they decide to go and buy a toaster or a graphic novel after following your link, you’ll get paid. However, payment levels are set out in tiers. The more you sell, the higher the percentage of commission you’ll receive. This is the one small drawback to what can still be a really profitable network. If you run a tech, gaming or entertainment related site, iTunes affiliates may be worth looking into. You can make commissions by selling digital media via its platforms. So that’s everything from music to movies and apps. But you’ll also get an extra return if customers go on to make in-app purchases. So the platform keeps on giving even after the first successful action you generate. As iTunes is another large and trusted provider, your website visitors aren’t going to delay making a purchase. Though many digital products are relatively cheap, this trust is what should help you to build up a large enough volume of sales to make good money. That’s what makes iTunes Affiliates one of the top paying affiliate marketing programs. Clickbank, founded in 1998, is one of the oldest and best-known affiliate networks around. I think it’s a great place to start for beginners, you don’t need to be approved for most offers which means you can start promoting right away. The only word of warning would be to thoroughly check the quality of any products you advertise. With a huge marketplace with thousands of products to promote, you will find something for almost any niche. Commission rates can be as high as 75% with many products having recurring commissions. As long as the customer keeps his subscription you will keep earning month after month. Having been around for 17 years, Clickbank has a good reputation for paying affiliates on time. Formerly known as Linkshare, this is another affiliate network with a long history. A smaller network with about 1,000 merchants to choose from but they are used by some well-known brands. So, it’s worth trying them out. The Rakuten Affiliate Network dashboard seems to be very well appreciated making it very easy to find and join programs. Another feature that makes Rakuten stand out is the ability to rotate different banners for a product. This makes it much easier to optimize your ads. These are just a few of the top affiliate marketing platforms you could try. Affiliate marketing is a numbers game to some extent – you need great websites which drive lots of traffic where you want it to go. Then a small number of those people will convert, and you get your reward. But using the top paying affiliate marketing programs is a shortcut to getting a great paycheck. With better pay, you need to worry less about volume and more about the quality of your leads. You’ll have plenty of extra time to build a high-quality site to reflect that. 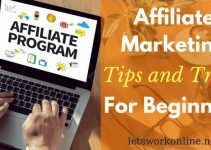 If you’re just entering the affiliate marketing world and wondering where to go next, read my guide to getting started. It’ll take some hard work to be successful, but you can start to earn great money once you’re established. Go sign up for some of these top paying affiliate marketing platforms. Look for some products that can be trusted and ideally you have used yourself. Don’t promote something because it pays the most. Keep the trust of your audience and the money will follow. Then check back here for more help and advice on how to make the most of your affiliate marketing. Thanks for reading and if you have any experience with these or other affiliate programs or networks let us know below. 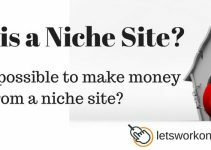 What Is A Niche Site? Do They Still Work Today?